The principal law for consumer protection in Indonesia is the Law No. 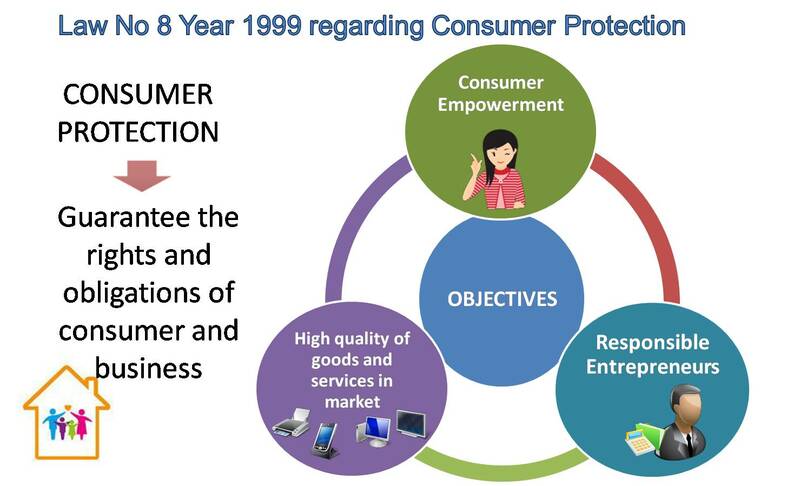 8 of 1999 on Consumer Protection (hereinafter referred to as “Law No. 8”). It came into effect on April 20, 2000. The Law No. 8 aims at protecting the rights of and promoting the recourses available to, users of both goods and services in Indonesia. It consists of detailed provisions on inter alia the rights and obligations of consumers; the rights and obligations of the entrepreneurs; prohibitions imposed on the entrepreneurs; provision to include ‘standard clauses’; the establishment, structure and functions of the national consumer protection agency; the role of non-governmental consumer foundations; settlement of disputes between consumers and entrepreneurs; the establishment, composition and functions of consumer dispute settlement bodies; and sanctions for violations. To improve the enforcement of the Act, the government of Indonesia develops a National Strategy on Consumer Protection as stipulated by Presidential Decree Number 50 of 2017. Strategy 2: Formulating an effective regulatory framework to create a favorable business climate. Strategy 1: Enhancing business awareness and understanding. Strategy 2: Implementing an effective supervision and law enforcement. 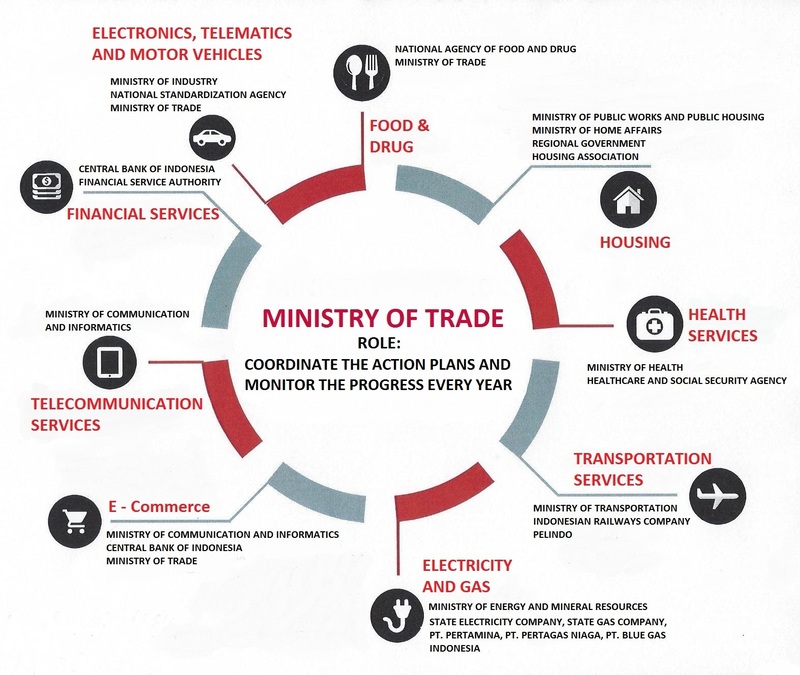 Pillar 3 of the National Strategy focus on businesses in 9 priority sectors which are food and drugs, electricity and gas, e-commerce, financial services, housing, telecommunication services, electronics, telematics and motor vehicle transportation, and health services. The implementation of pillar 3 involves inter-sectoral responsibilities. 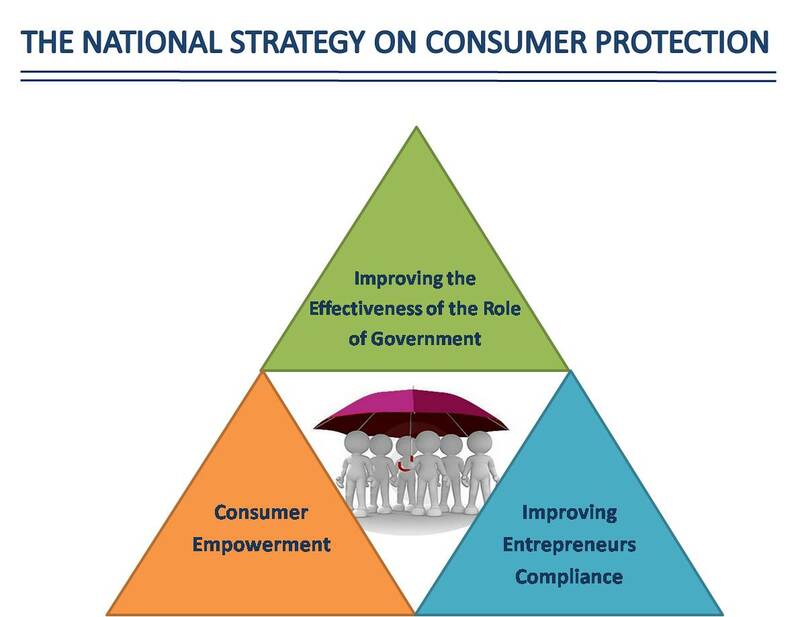 The national consumer protection agency in Indonesia, established in accordance with the Law No. 8, is the Directorate of Consumer Empowerment under the Directorate General of Consumer Protection & Trade Compliance, Ministry of Trade of Indonesia. The Directorate is responsible for both policy-making, law enforcement, consumer education and awareness-raising as well as receiving consumer complaints. Click this link, for a listed of consumer associations in Indonesia.